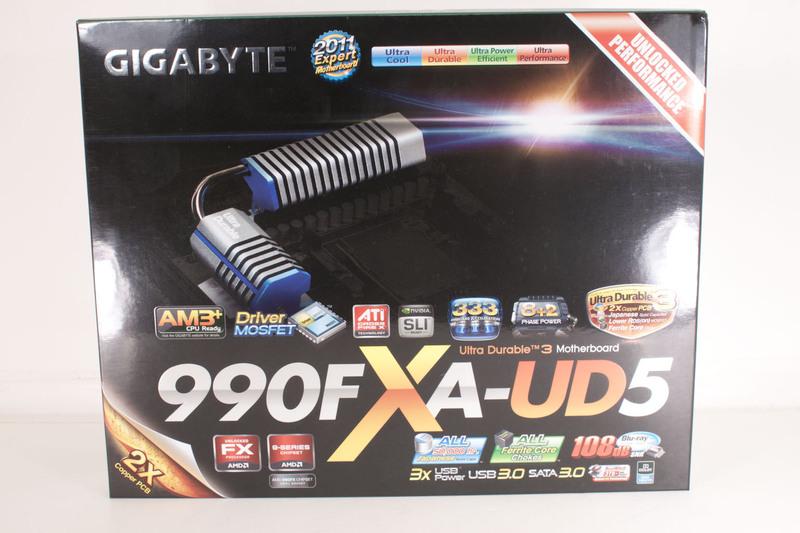 The Gigabyte 990FXA-UD5 has a box that will catch your eye, but it won’t make it water like some of the packaging that I have seen on shelves (and in the lab too). It is a glossy black with a fade in image of the board’s socket and cooling. Below this you do get some marketing material but it is not as bad as it could be. The most important (or at least eye catching) item is the small SLI logo on the front. It has been a very long time since true SLI was allowed on AMD’s product but here it is again. Flipping the box around we find a much busier box. Here the marketing people have gone a little crazy. 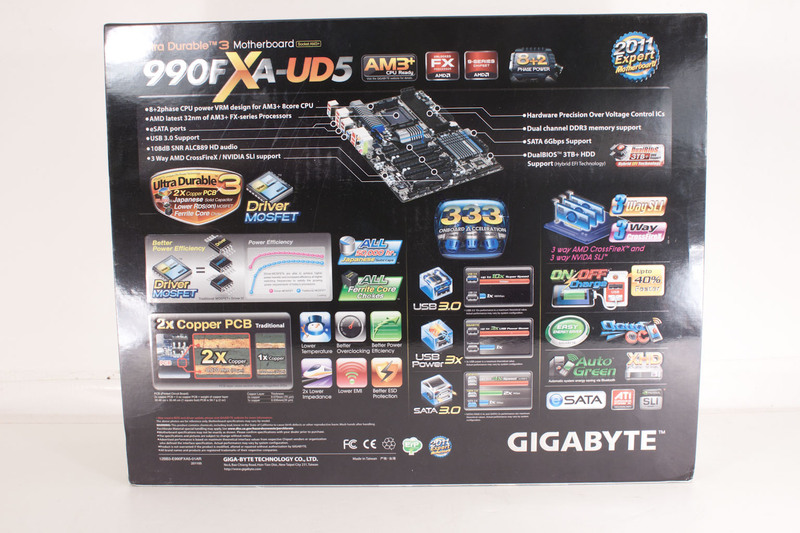 You have a picture of the board complete with pointers to interesting items, information on the 2oz of copper in all Gigabyte motherboards and more. Again the really interesting item is the 3-way SLI logo that we find. Hmmm I wonder what a Phenom II X6 1100T would do with three 4xx series GPUs in it? Opening the box yields… well not much really. 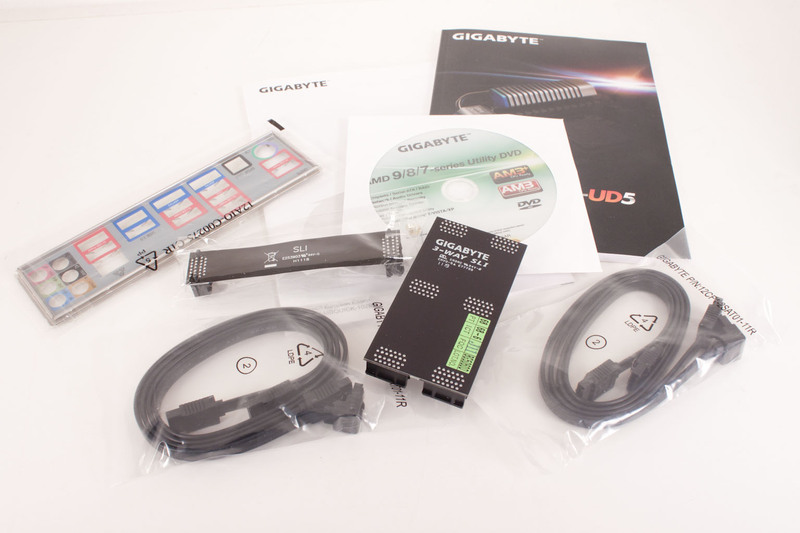 You get a couple of manuals, a few SATA cables a Driver/Utilities DVD, I/O shield, and a couple of GPU bridges. One of these is the all-important three-way SLI bridge. 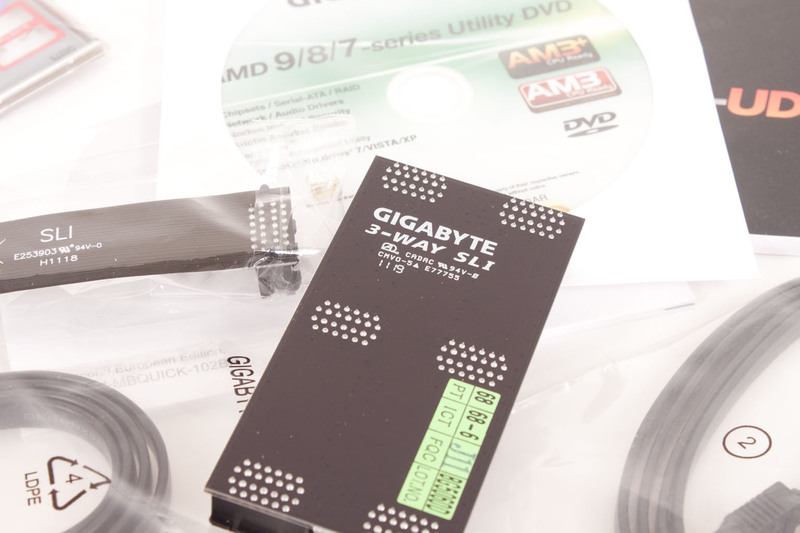 I guess with this light of a haul, Gigabyte spent all of their money on components and licensing.